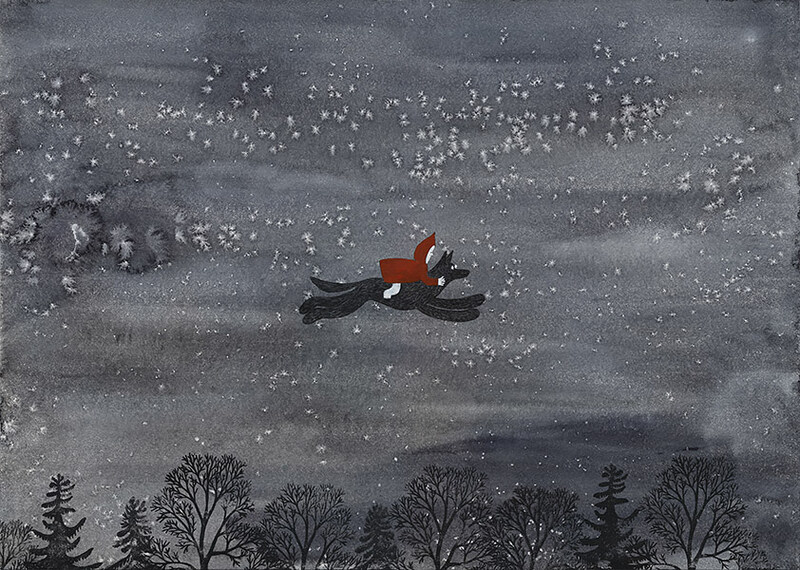 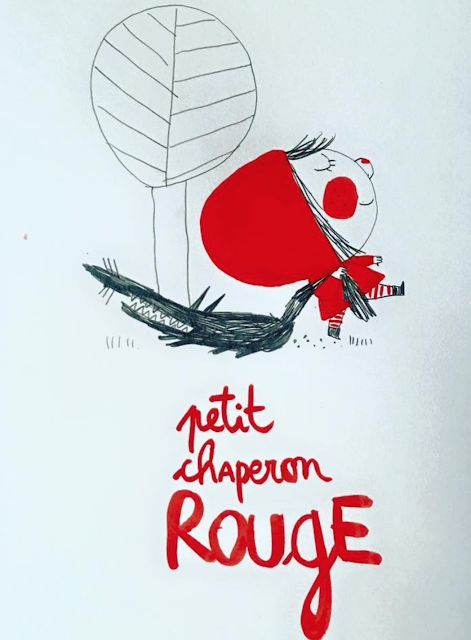 An 'Inktober' Little red by French illustrator Christine Roussey. 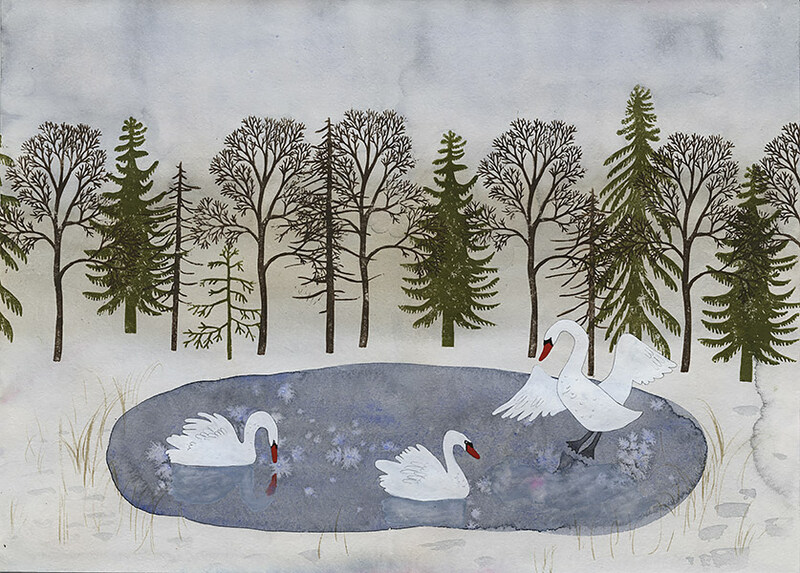 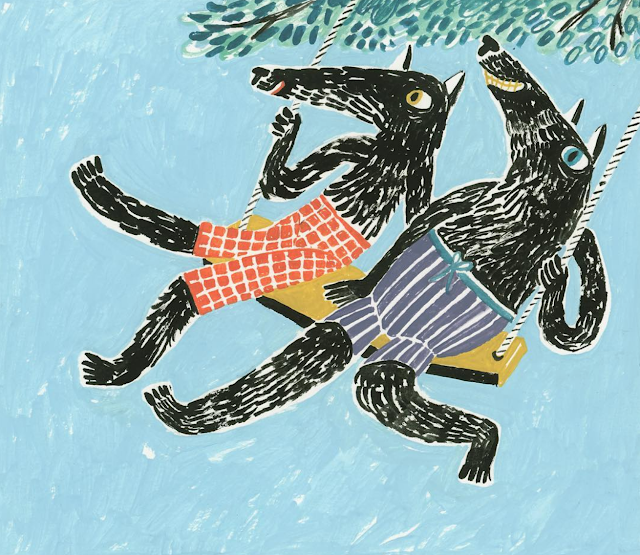 Anna Vaivare wolves on a swing, 'Carefree beings'. 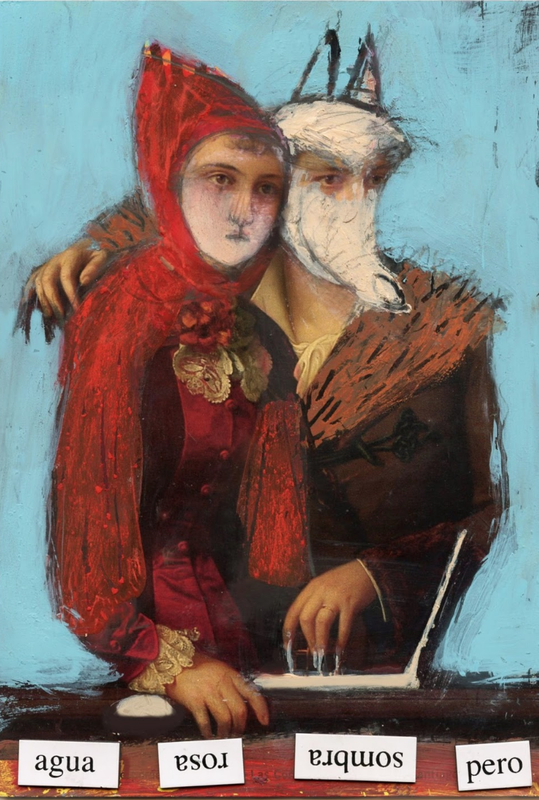 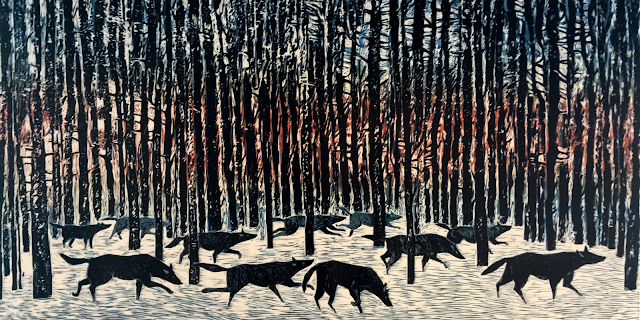 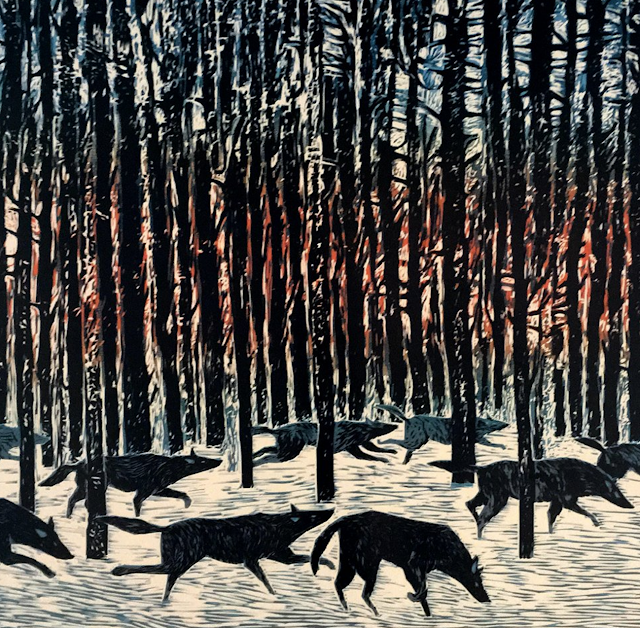 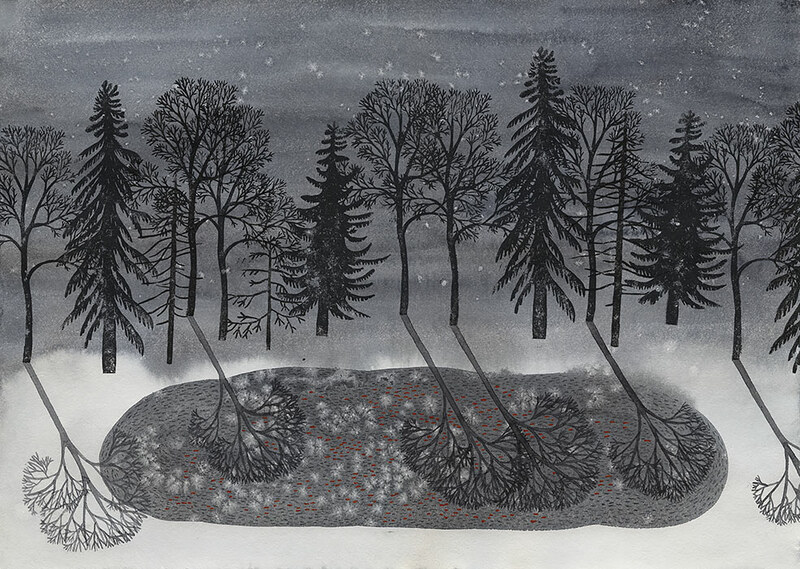 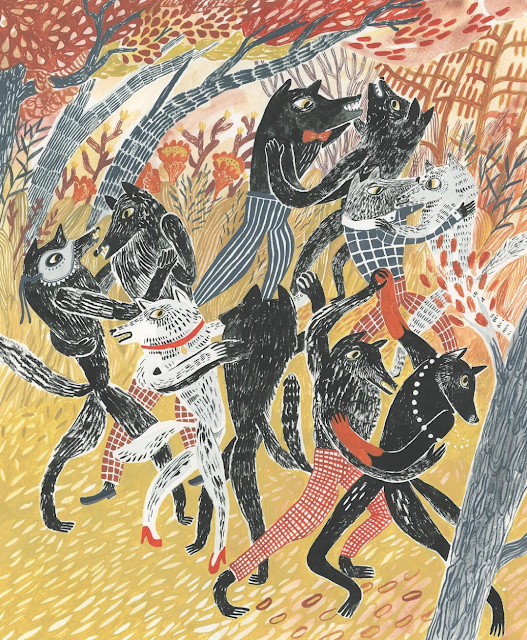 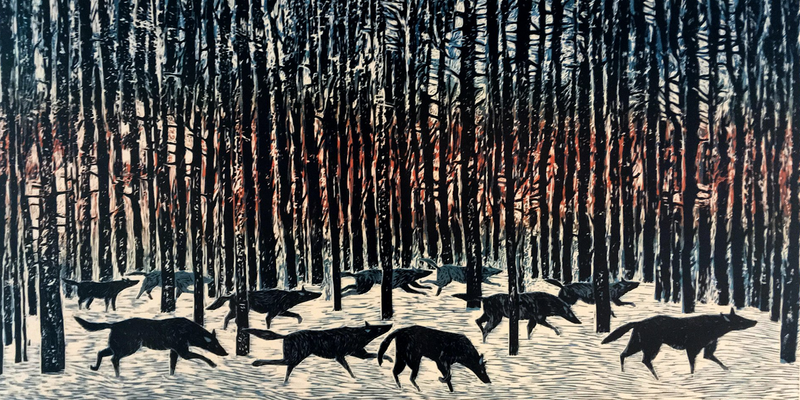 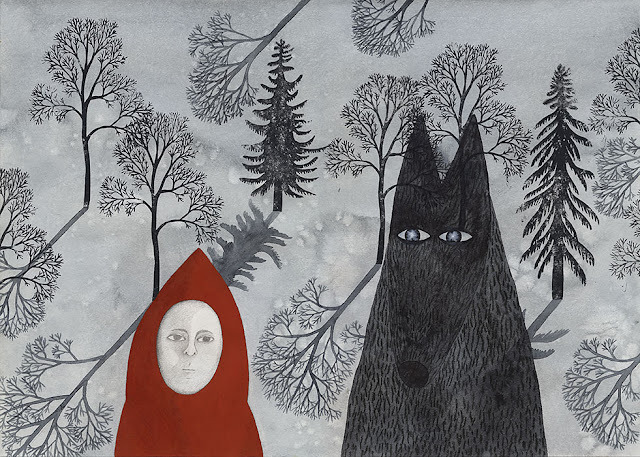 Slow dances by Anna Vaivare, an illustration created for werewolf themed Baltic illustrators exhibition “Running with wolves”. 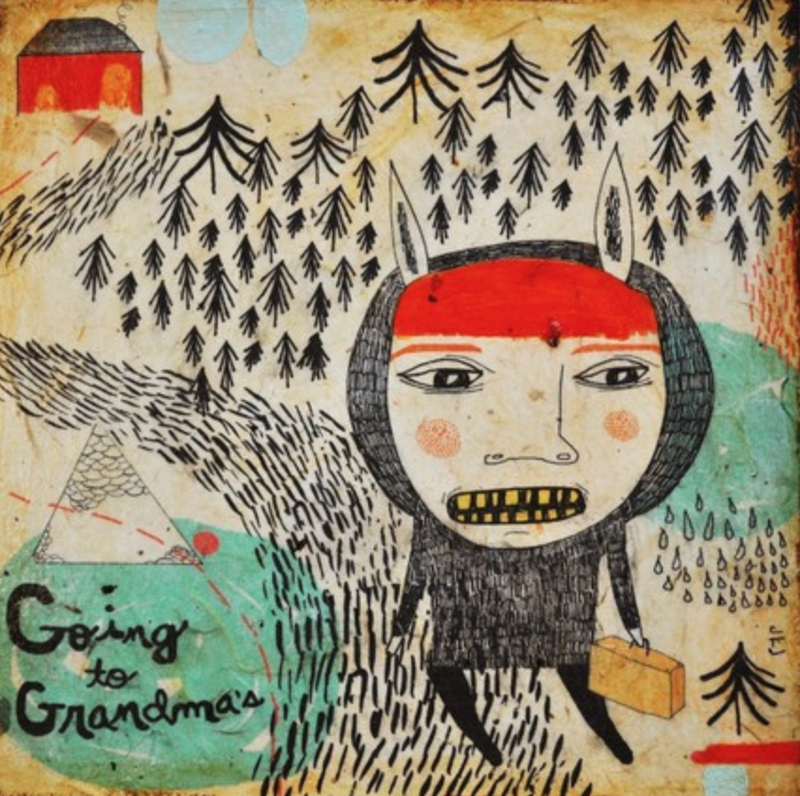 'Going to Grandma's' by Kelly Puissegur. 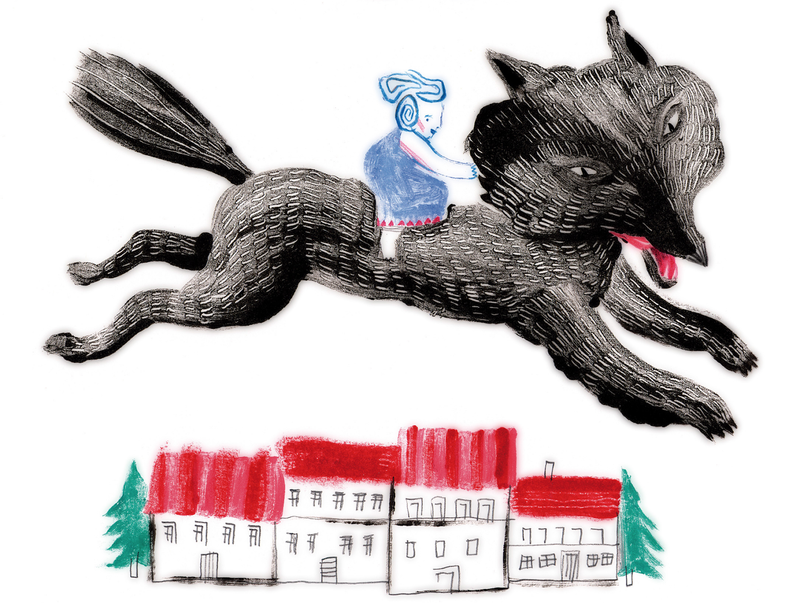 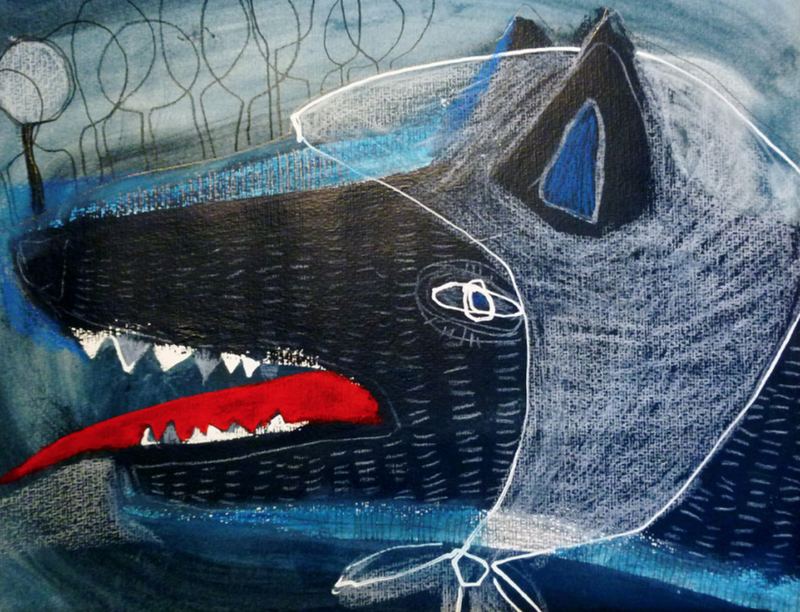 Tiny Wolves by Erica Salcedo. A page from 'Sister, Can You Hear The Deep Blue of the Sea?' 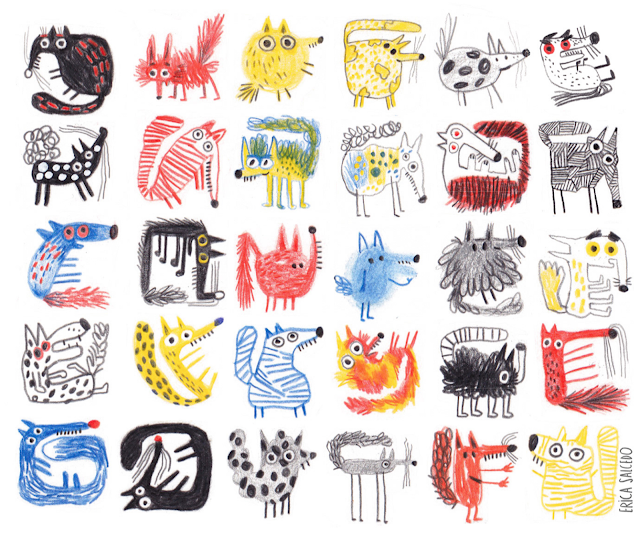 by Jose Manuel Saraiva.